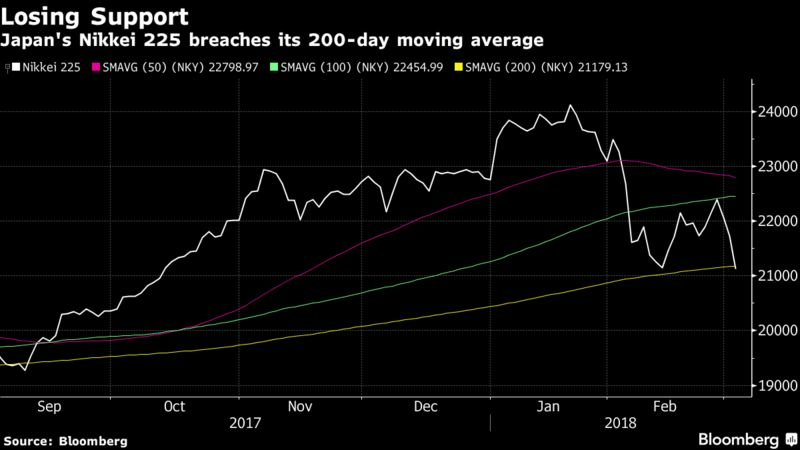 Japan bore the brunt of declines, with the Nikkei 225 Stock Average breaking below its average level over the past 200 days and extending losses from its January peak to 13 percent. Shares in Hong Kong, China, Australia and South Korea were also weaker after U.S. stocks posted a third day of declines. U.S. President Donald Trump promised to impose substantial tariffs on foreign metals and European Commission President Jean-Claude Juncker said Europe will respond “firmly” to any new tariffs. Treasuries kept rising Friday. 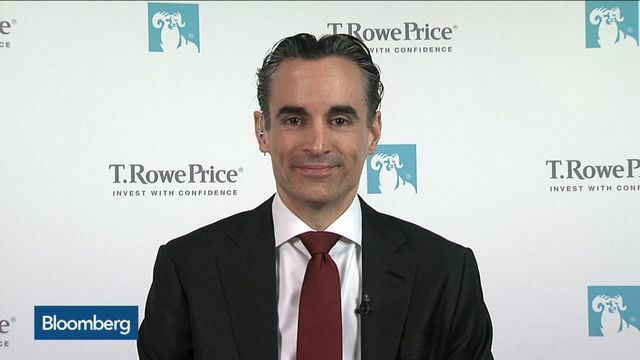 T. Rowe Price’s Sebastien Page speaks with Bloomberg’s Alix Steel. Elsewhere, oil steadied after sliding Thursday on concerns about increasing U.S. crude production. Bitcoin held near $11,000 on course to post a 10 percent increase this week. Japan’s Topix index fell 2.2 percent as of 12:30 a.m. in Tokyo, while the Nikkei 225 Stock Average retreated 2.9 percent. Australia’s S&P/ASX 200 Index dropped 1 percent and South Korea’s Kospi index retreated 1.5 percent. Hong Kong’s Hang Seng Index declined 1.5 percent. The Shanghai Composite index slid 0.3 percent. Futures on the S&P 500 slipped 0.2 percent after the underlying index fell 1.3 percent Thursday. Futures on the U.K.’s FTSE 100 Index lost 0.6 percent. The Bloomberg Dollar Spot Index declined 0.1 percent, building on Thursday’s 0.3 percent drop. The yen gained 0.2 percent to 106.04 per dollar. The euro was little changed at $1.2275. The Australian dollar bought 77.57 U.S. cents. The yield on 10-year Treasuries was down one basis point to 2.80 percent. Australia’s 10-year yield down about two basis points to 2.74 percent. West Texas Intermediate crude was little changed at $60.98 a barrel. Gold was flat at $1,317.11 an ounce.